Cinema, opened 1 June 1929 as "Capitol Theatre". 1455 seats. Closed in the 1980s. Later converted to a community arts centre and renamed "Capitol Centre". 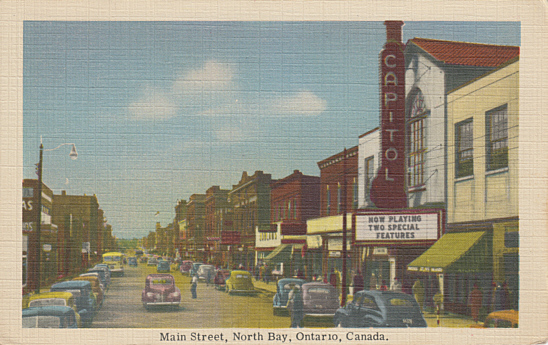 Front Text: "Main Street, North Bay, Ontario, Canada", sign: "Capitol", marquee: "Now Playing Two Special Features"